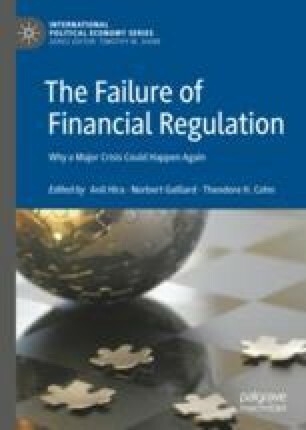 This chapter assesses the validity of a hypothesis associated with regulatory capture theory—that capture resulted in banking deregulation which was a major factor contributing to the 2008 financial crisis. Capture occurs when regulators and politicians consistently give preference to regulated banking interests over the public interest. Whereas most research focuses on capture at the national and global levels, this chapter fills a gap in the literature by also focusing on the individual level. Looking at all three levels provides a better assessment of the evidence for capture, and the conditions under which it occurs. The chapter finds compelling evidence that capture had, and continues to have, a major effect on banking deregulatory decisions. The conclusion also includes recommendations for limiting regulatory capture in banking.